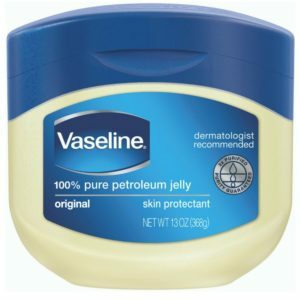 Vaseline, called petroleum jelly in some cases, comes from petroleum (i.e. oil). It’s a goopy substance that’s often used as lip balm (although there are better vegan lip balms) and generally for lubrication. Many people claim that Vaseline is not vegan, but I find their arguments lackluster. I’ll explain why in this post. Why Do Some People Say Vaseline is Not Vegan? Let’s start with what most people who claim Vaseline is not vegan say. Vaseline is owned by Unilever, a giant company who owns brands like Axe and Dove who test on animals. Vaseline comes from oil products which are not vegan. From an environmental point of view, I agree that we should limit our oil consumption. But I’ve never seen oil considered not vegan until researching this post. I think the vast majority of vegans drive a car that uses gasoline, are they not vegan? Instead, the first argument is more interested to look at. Does Vaseline Test on Animals? While reading everything on Vaseline that I could find this same argument kept coming up. I cannot be 100% sure, but I couldn’t find a single claim that Vaseline itself is tested on animals. Instead, bloggers and community members referred back to Vaseline’s parent company Unilever. 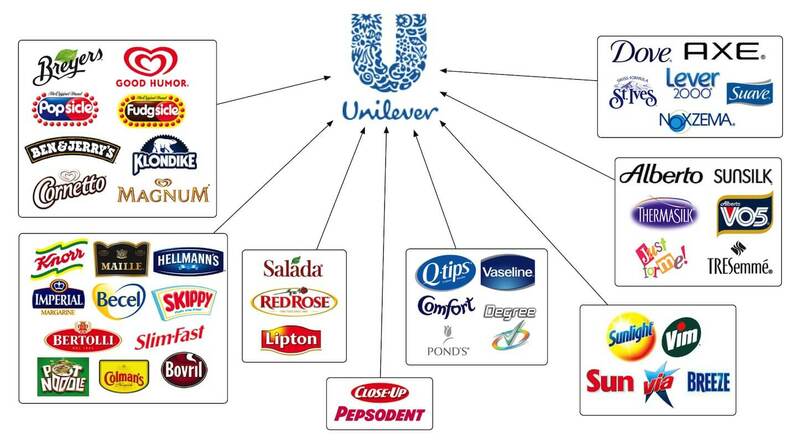 Unilever owns several large companies, many of which do test on animals. But why would that fact make Vaseline not vegan? You can say that Unilever as a company is not vegan, but that doesn’t mean that each individual product should not be evaluated on its own. By all means, you can boycott the company if you’d like. As part of our commitment to ending animal testing, we have a growing number of brands that ensure that neither their products,nor the ingredients they use are subject to animal testing by suppliers or by regulatory authorities. These brands commitment to no animal testing is certified by animal welfare groups. So, Vaseline itself doesn’t test on animals for sure. However, some of its suppliers might. That’s not exactly definite, but I think we can be fairly confident that your standard Vaseline tub is not tested on animals. Where I Stand: Is Vaseline Vegan? To me, Vaseline is very likely vegan-friendly, although not a product I personally use. If you’re still on the fence, and only want to use Vaseline as a lip balm, you have many alternatives. Here’s a summary of the best 100% vegan and cruelty-free lip balms. Until the product bear the Vegan certified logo I go with it isn’t Vegan so I stay clear. That’s certainly up to you and a reasonable position. Is Dial Soap or Body Wash Vegan?